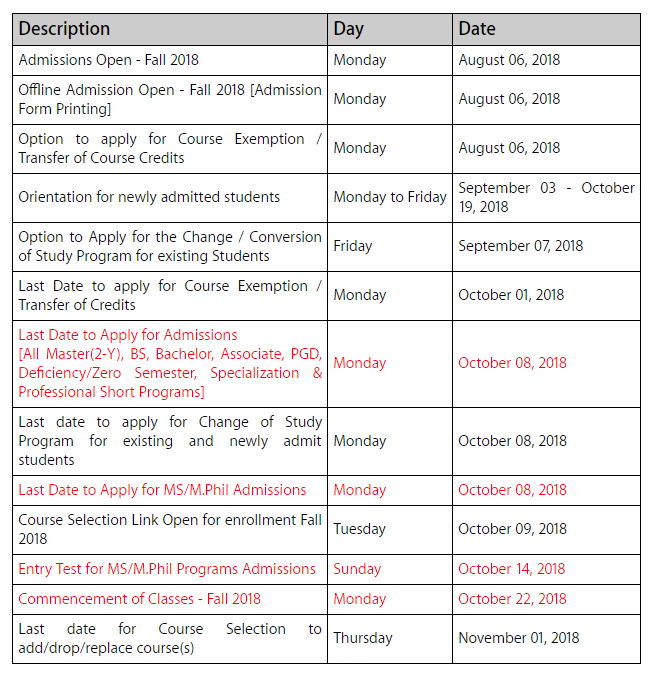 Virtual University of Pakistan offers admission twice in an academic year namely spring in the month of January/February and fall in the month of August/September each year. A candidate (Pakistani National) can obtain admission application form either from Virtual Campus or from VU website http://www.vu.edu.pk and apply for admission (subject to eligibility criteria) by submitting filled admission form with requisite documents including fee paid challan/Demand Draft (in original) to the nearest Virtual Campus or by mailing at Registrars’ Office (Admissions), Virtual University of Pakistan M.A. Jinnah Campus, Defence Road, Off Raiwind Road, Lahore. Tel: 042-111-880-880, Ext. 342~348, 441~443.